Apartment balconies are an undisputed score in the city. But once you've found yourself with a balcony, it can be tough to figure out how to use the space most efficiently. We have some inspiration to get you started below. 1. Teeny-tiny balcony? Don't even bother with a table and chairs. 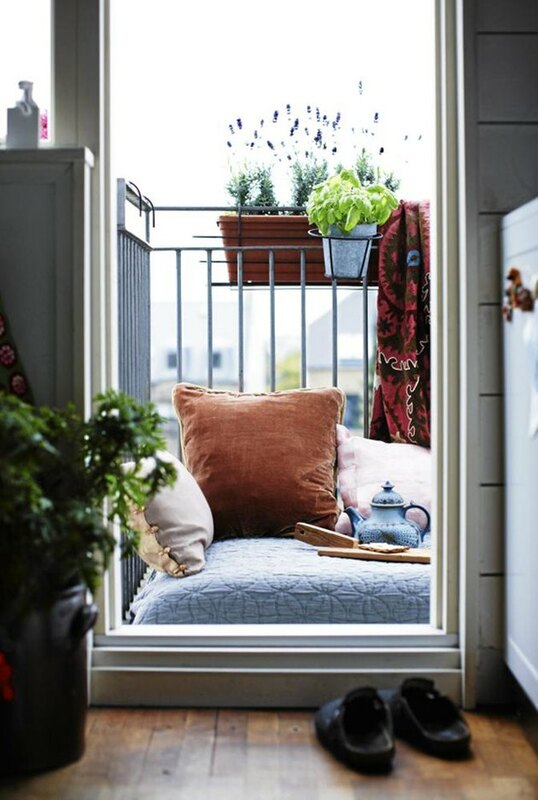 If you're seriously lacking space, but still want to utilize your balcony, why not turn the entire thing into a sort of outdoor bed? Just lay down a big floor pillow and add smaller outdoor pillows on top. There's probably no such thing as a cozier reading nook. 2. Use your door as an opportunity to accessorize. 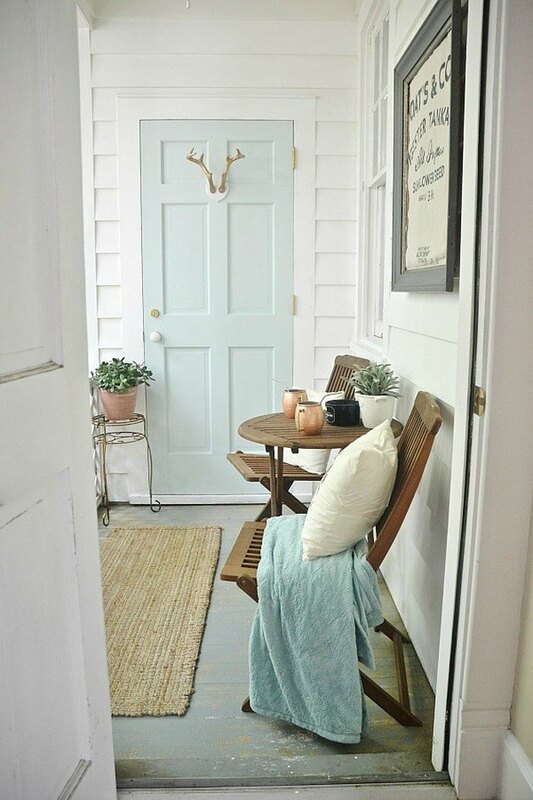 If you have a regular-Joe door leading out to your balcony, try painting it a bold color and nailing on fun, faux antlers. 3. Everyone loves a hammock chair. Yes, hammock chairs can be hung on balconies. This is likely the most fun addition you could possibly install. If you're feeling crafty, learn how to build your own here. 4. Purchase a small, L-shaped outdoor sofa. You don't have to sacrifice on comfort: Just think small. 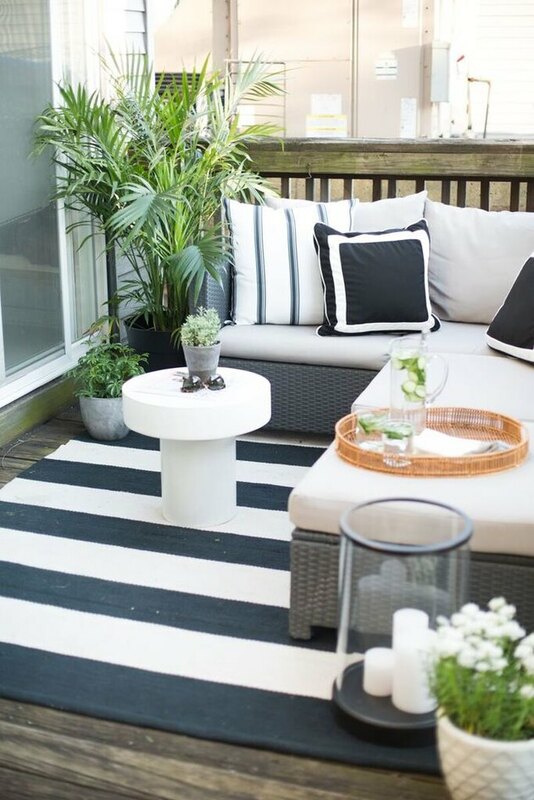 This balcony has an elegant black and white theme, with an outdoor rug and throw pillows matching the sofa. You can build your own outdoor sectional at Pottery Barn, to ensure it turns out just the right size. 5. Install a hanging chair. 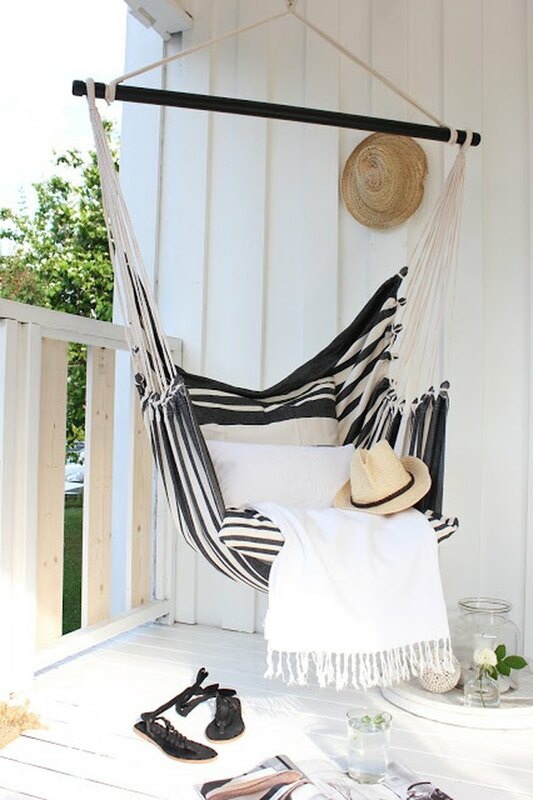 If hammocks aren't your thing, hanging chairs give a similar effect and can actually be very stylish. Try draping a sheepskin over yours. 6. Another tiny space solution: Outdoor poufs and table. 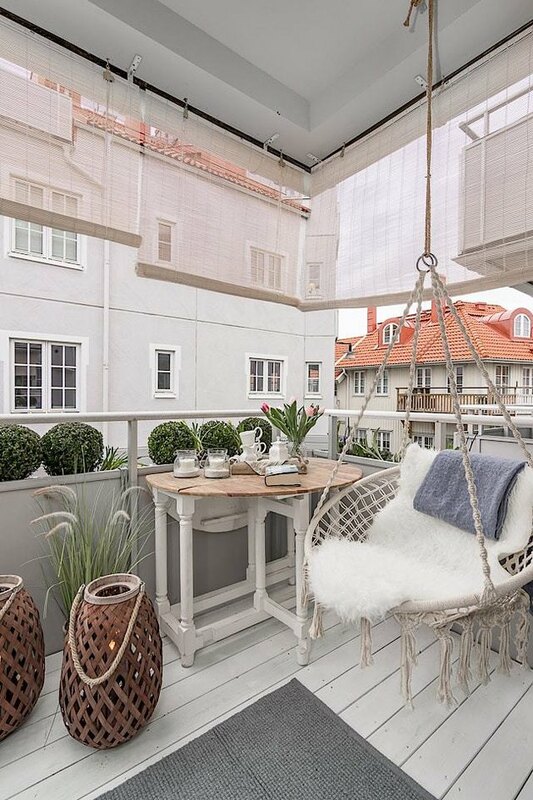 It's very possible to furnish a tiny balcony without resorting to an uncomfortable bistro set. This modern pouf and table set can be purchased at Target. 7. Decorate with outdoor pillows. 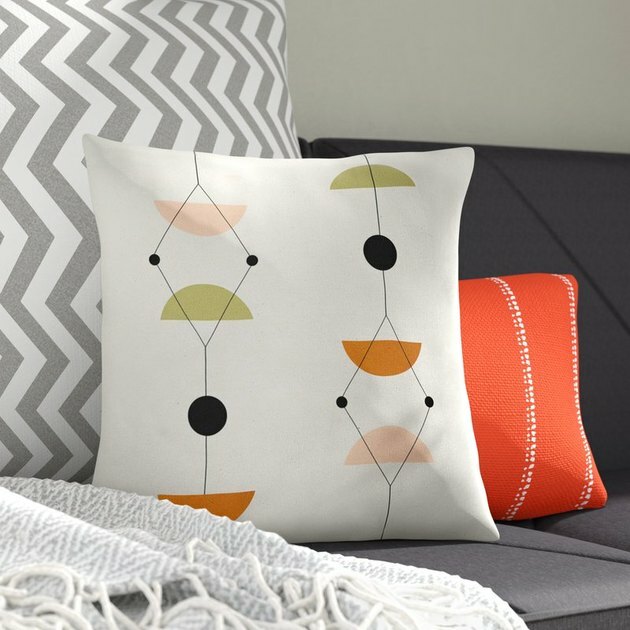 A quick and easy way to add color and texture to your balcony is with outdoor-specific throw pillows. Plus, they add plenty of comfort. Purchase this one here. 8. You can't go wrong with string lights. Outdoor string lights are an affordable, yet impactful way to decorate your balcony. 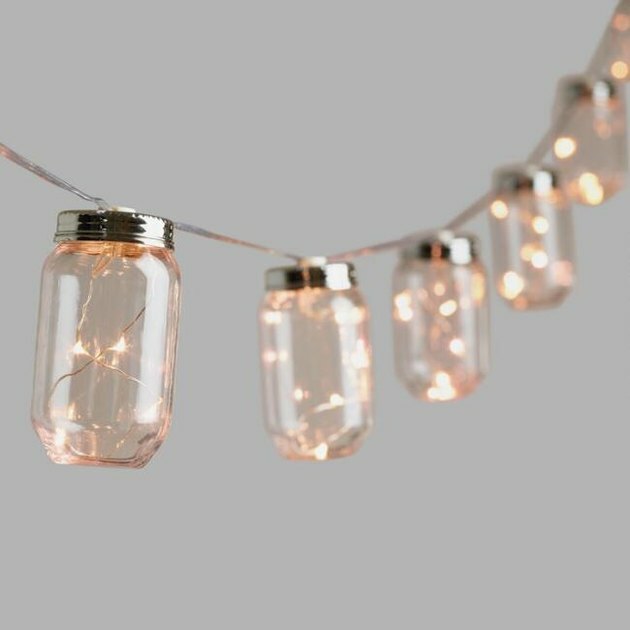 Find these whimsical mason jar, firefly string lights at World Market. 9. Consider a balcony bar. 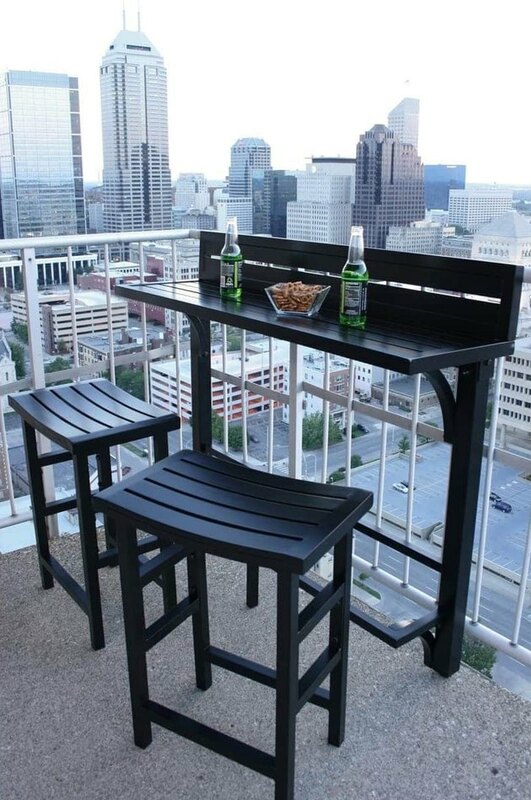 Yes, you can actually hang a mini bar-table onto your balcony railing. Talk about a space saver. This particular set is available on Overstock. 10. Don't forget the citronella candles! Those pesky mosquitos ain't got nothin' on you. 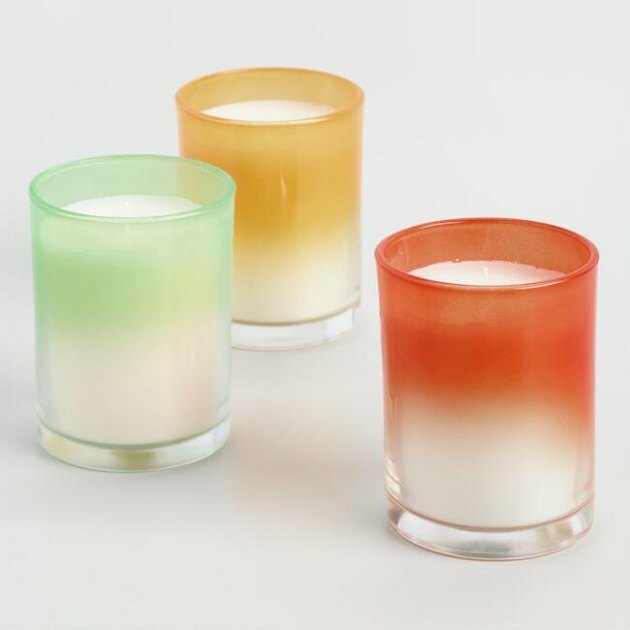 There are some pretty cute citronella candle options out there, like these from World Market.